London trio Vaults are slowly rising up like hot air, as their first single 'Cry No More' had 100,000 SoundCloud plays within the first week of release. They're also responsible for the great music in this year's annual John Lewis ad. They've released full-length debut album Caught In Still Life, so let's see what a view into the vaults look like. If the ad is anything to go by, it does paint them differently (not the "introspective electronica" they've described themselves as) and this album is a blank canvas for their voices and sounds to really shine. Opener and first single 'Cry No More' starts with chime-like sounds, accompanied and brought to a comfortable crescendo towards the end of the track by lead singer Blythe sensually and quietly repeating "I don't wanna cry no more", a perfect song to introduce them to any new listeners. The abstract album title and cover is a symbol of what's in the album, with titles include 'Midnight River' bringing up the tempo and turning the slow album idea completely on its head. Blythe lets her vocals really take hold in this part of the story, with songs about nature and all its beauty being constant throughout their debut. 'One Day I'll Fly Away' is the ad song in question and actually a cover of Jazz artist Randy Crawford, who originally released the song in 1988. Even if you haven't seen the heart-warming advert, it'll leave a tug on your heartstrings and a tear in your eye. If you have seen the ad like me, then it'll be all you can think about - #BusterTheDog. That song is a perfect way to end the album and leave everyone on a happy note, with both optimistic and somewhat gloomy melodies set to serene vocals and flaunting their confidence as a band, Vaults have already found their key to success. 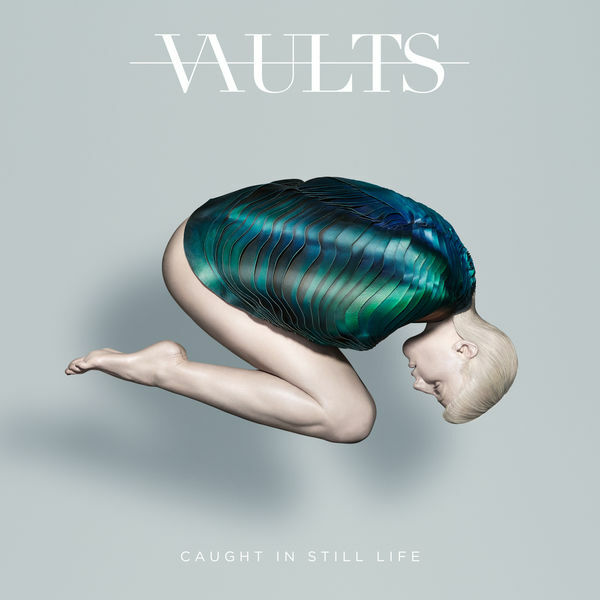 You can buy Vaults' Caught In Still Life (released via Virgin EMI Records) on iTunes, Amazon (UK | US), Google Play Store and in local music stores. Follow Vaults on Facebook, Twitter and Instagram to see what they're up to. I'm doing Blogmas this year as well as all of my regular music & lifestyle posts, so if you would like to see more of them, go to my Facebook page or follow me on Instagram so you never miss a post.